—-12 members of the ski club say “put the Tonquin Valley ski on your list“. Good snow, warm temperatures, and a great adventure. We had heard that it is a long ski in and by God it was- in fact a ½ marathon long. Our welcome at the lodge was warm and satisfying with waiting hot coffee, tea, juice, fresh chocolate chip cookies (hot cinnamon buns the next day) and with the reception of our generous and friendly hosts Sara and Caroline. Our very abundant and delicious, made from scratch, meals were served at a round table comfortably seating all 12 of us and equipped with a lazy-susan. One had to be quick with the self-serving as hungry ski- mates around the other side of the table wanted to “spin the wheel” to avail themselves of lasagne, greek salad, scalloped potatoes, ham, pancakes, bacon …and the list goes on. 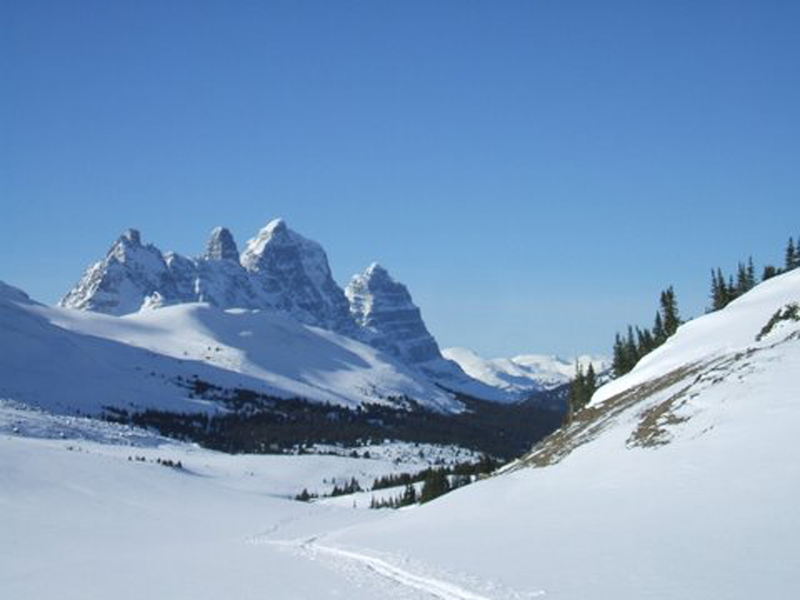 This entry was posted in Jasper National Park, Mountain Tours, Trip Reports and tagged Alpine Touring, Backcountry Skiing, Cross-country Skiing, Telemark Skiing, Tonquin Valley, XC Skiing on 2012/03/01 by parkland.